There's no better way to celebrate the arrival of spring than with a giant slice of carrot cake. This past weekend, I made my signature carrot cake and planned to post it at the beginning of this week. Everything was set into place to share with y'all on Tuesday, but then a genius idea popped in my head: curry. I know curry isn't the first spice you'd reach for while baking, but I've recently been craving the hell out of it. My initial plan was to make a mango or coconut cake with curried frosting. I knew that it would be a total hit or miss, so I went back to brainstorming. I asked myself, "Why not use all three?" And then it dawned on me that there was a common thread between all of these ingredients — each are staples in Thai cuisine. I figured that coconut, mango, and curry could all be added to my killer carrot cake recipe with ease. 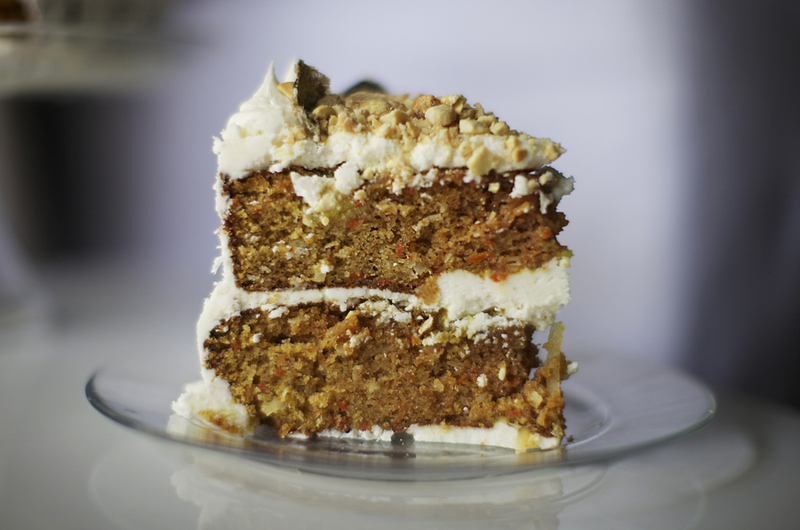 From there, the Bangkok Carrot Cake was born. I modified my traditional carrot cake recipe as an ode to Thai cuisine. The cake itself is full of curry powder, ground cinnamon, and coconut extract with a super moist texture, compliments of the addition of fresh-cut carrots, flaked coconut, and both mango chunks and juice. I know I say that a lot of my desserts are sssooOOoooOOo good, but this cake is one of my favorite creations thus far. This cake is super moist, and delicious both at room temperature and right out of the refrigerator. Curry powder, cinnamon, mango, coconut, carrot, peanuts, candied basil. I know that it seems like a jumble of competing flavors, but it just works. There's something so simple about the cake, considering the complexity of the range of ingredients. Preheat oven to 350F. Grease and flour two 8"-round cake pans. In a medium bowl, whisk together the flour, salt, soda, cinnamon, and curry powder. Set aside. In a large bowl, whisk together the eggs, buttermilk, vegetable oil, sugar, and vanilla extract until smooth. Add the flour mixture. Fold in the shredded carrots, coconut, mango, and juice. Pour the batter into prepared pans and bake for about 35 minutes, until a toothpick inserted into the center of the cake comes out clean. Cool the layers before frosting. In the bowl of a stand mixer fitted with the paddle attachment, cream the butter until light and fluffy. Add half of the confectioners' sugar and mix until combined. Add in the coconut milk, lime juice, and extracts. 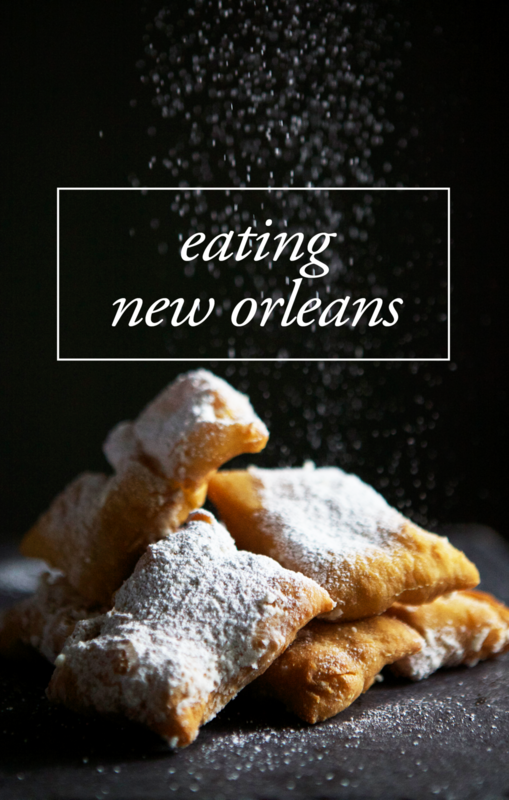 Gradually add the remaining confectioners' sugar and combine until smooth. Ice the cooled cake layers generously. Top with crushed peanuts and candied basil leaves. Preheat oven to 175F. Line a baking sheet with parchment paper. Place the sugar in a small dish or bowl. One by one, lightly coat each leaf in the egg white mixture. Shake off excess. Dredge the leaves in sugar and place onto the prepared baking sheet. Bake for about 20 minutes.